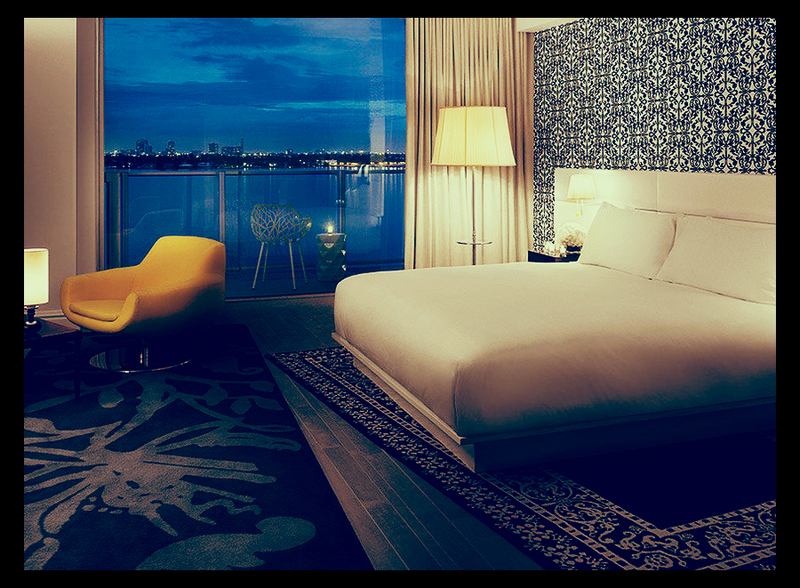 On a recent last-minute dash to Miami, we booked a flight and hotel deal with BA, staying at the Mondrian on South Beach. However, it was only after completing the reservation that we really got our heads around the geography and realised that the hotel stood on the Biscayne Bay side of the ‘island’. We wondered whether we had made a terrible mistake not opting for one the beach-fronted hotels, but needn’t have worried. It turned out to be ideally placed for nipping over the bridge into the business district (sadly, the trip was justified by a few meetings), has a glorious view over the Miami skyline, and is only a short walk to the mayhem of Ocean Drive and the boutiques around Lincoln Road. In fact, the Mondrian offers the perfect combination of all the best bits about Miami – minimalist white décor, great tunes in the lobby and around the pool at all times, world-class spa. The BA booking meant that we got upgraded to a suite and, even better, it turned out to be a super-stylish apartment with kitchen, dining table and lounge area. Apparently there are those who check in and never check out – the hotel has a number of permanent residents. Our spacious balcony looked out over the pool – which sounds heavenly but actually wasn’t ideal: we were on the third floor and the partying around the pool put paid to any hopes of an afternoon siesta. Unable to beat them, we joined them – sauntering down to the poolside bar for vodka tonics and people watching. Miami is all about the posing, so remember to pack your best white shirts and tailored shorts. Discover your inner-poser. See and be seen.